Bud loves the Octonauts. The underwater exploring crew of friends are a real favourite in our house but we've never got around to buying any of the toys. Bud gets his Octonauts fix by watching it on cBeebies or reading a few books that we have accumulated. 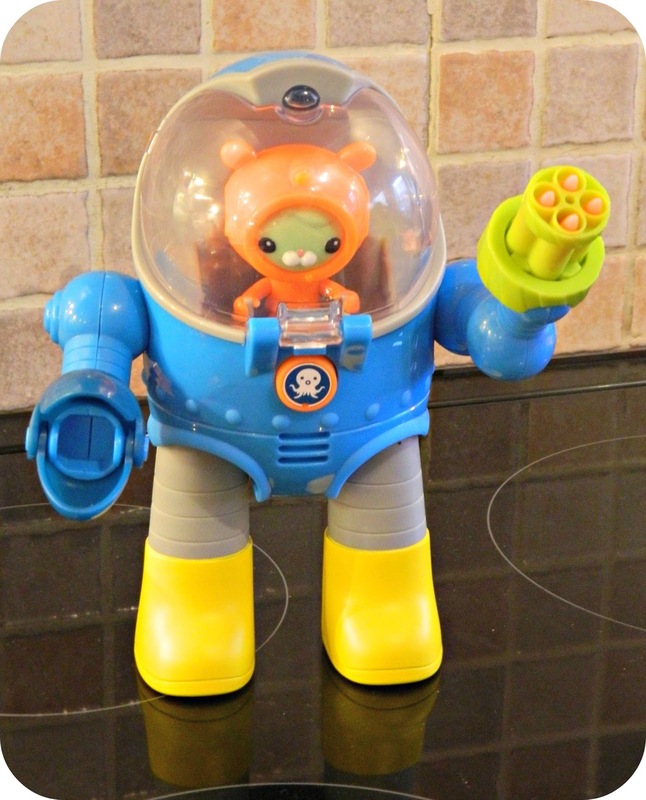 When the opportunity came along to review one of the brand new Octonauts toys from Fisher Price recently we couldn't turn it down and we were delighted that the featured character was Tweak - Bud's absolute favourite! 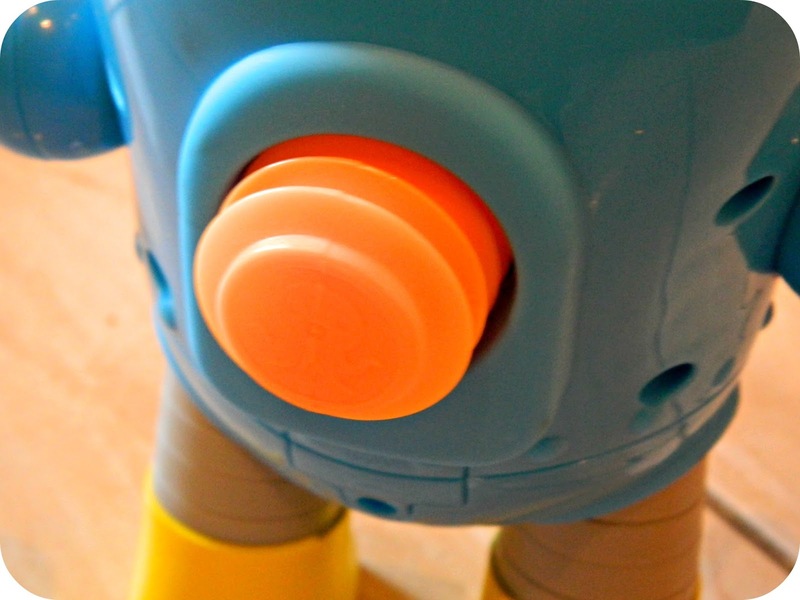 The Octonauts Tweak's Octo Max Suit is a diving suit for Tweak to sit in. He controls it rather like a robot and it can also fire carrots from it's arms, perfect to help out any sea creatures in need. 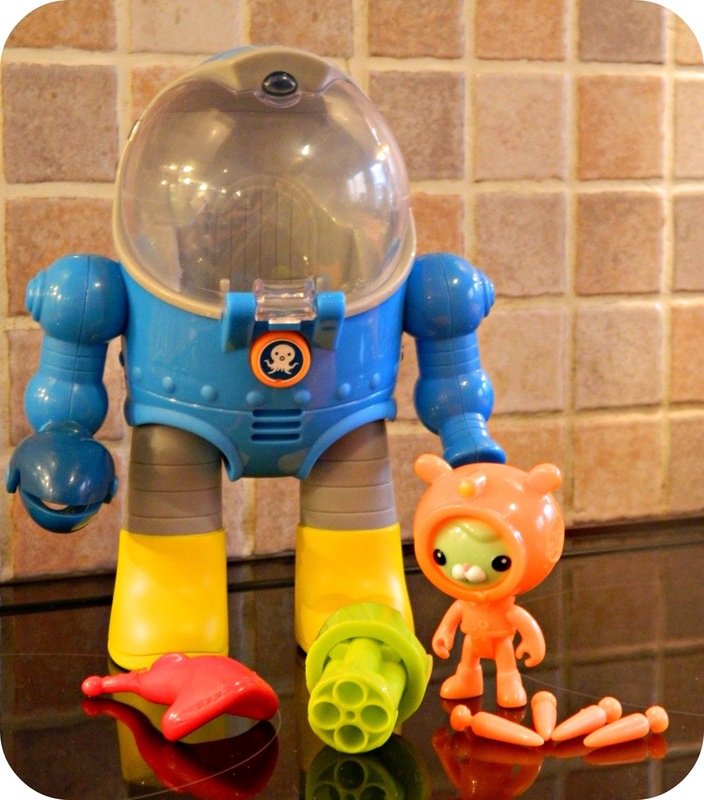 The toy has poseable arms and legs and includes Tweak (wearing her Midnight Zone dive suit),a stingray and detachable carrot blaster and four carrots. To power the blaster you attach it to the arm of the Octo Max Suit and pump a button on the back of the suit. This fires the carrot using air power so you have no fears of the small carrots being fired too hard or fast and causing any damage. The other hand has a claw grip which can be used to hold other things. Bud likes to use it to hold the included sting ray. When fitting Tweak in to the suit you lift up the clear hood and sit her inside, placing her foot on the pin in the suit and her hands on the handles, she fits in very securely. The button on the front controls light (which can be seen on the back of the hood) and sound - an underwater bubbly sound. Although LM is too young for this toy she absolutely loves pressing the button and claps her hand for the noise, when she can get near to it that is. This function is powered using 3xAAA batteries which are included. Obviously this means that the toy isn't suitable for water play which can be a little confusing for little ones, but once I explained why it wouldn't work in water Bud understood this. I'm so impressed by the quality of this toy. It's really solidly built, something which can often be lacking in character toys. Everything fits together perfectly and it's clear that a great deal of thought has gone into it. Everything just fits together really well and it's super sturdy, inevitably toys like this get dropped when using them for active play and I'm not worried about it breaking. Bud has loved this toy from the moment it arrived. It has really added to his enjoyment of the TV show and I love to listen to his imaginative play with it. He and Tweak have had some real adventures with it and he has shown no signs of growing tired of it. 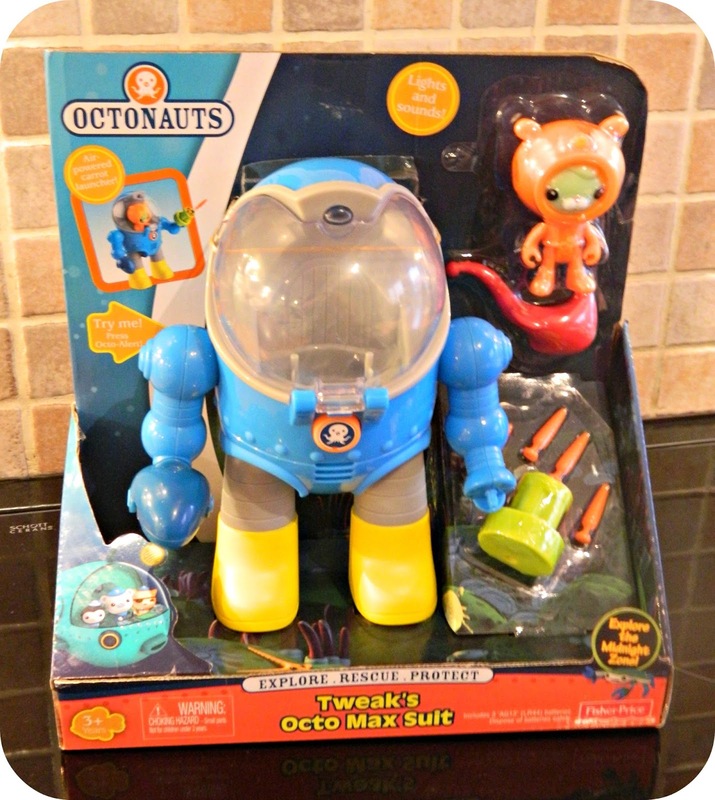 The Octonauts Tweak's Octo Max Suit is available from all usual stockists and has an RRP of £24:99 which I think is good value for a toy of this quality which will really appeal to children interested in sea creatures or fans of the Octonauts.